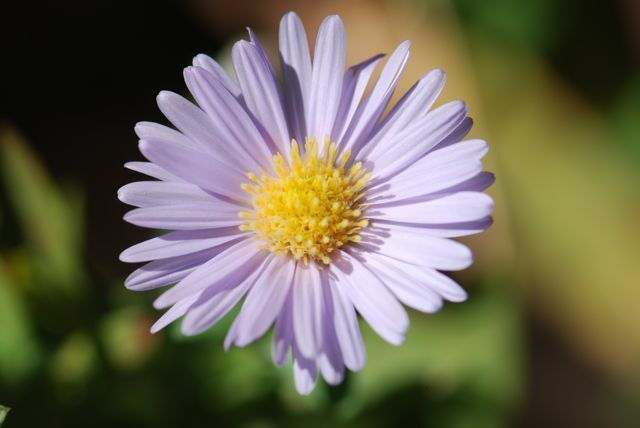 The fall-blooming plant that produced the mystery seeds from last week is an aster, which can belong to the genus Aster or Symphyotrichum. 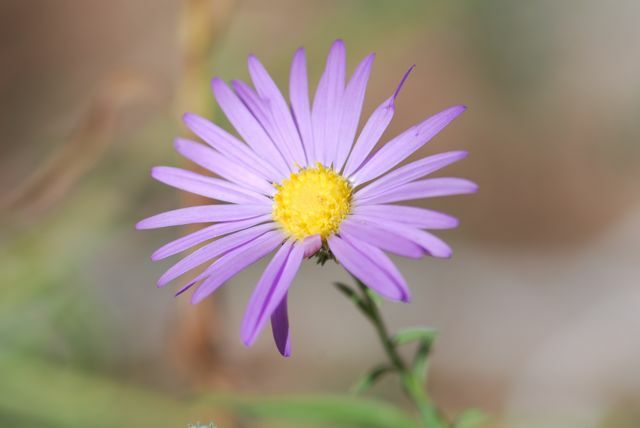 Many asters have purple or white flowers. The New England aster is a perennial favorite that grows along roadsides in the eastern part of North America. Here's another that grows in Arizona. It has shorter ray flowers, or what are commonly called petals. This one has fewer, longer ray flowers. There are many species and cultivated varieties of asters. 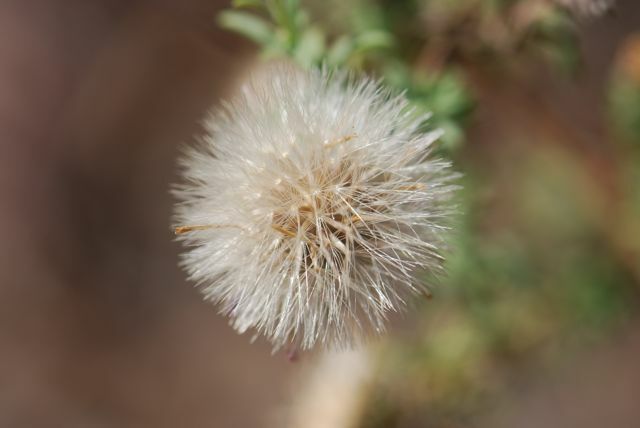 The seeds have tiny parachutes, similar to a dandelion. 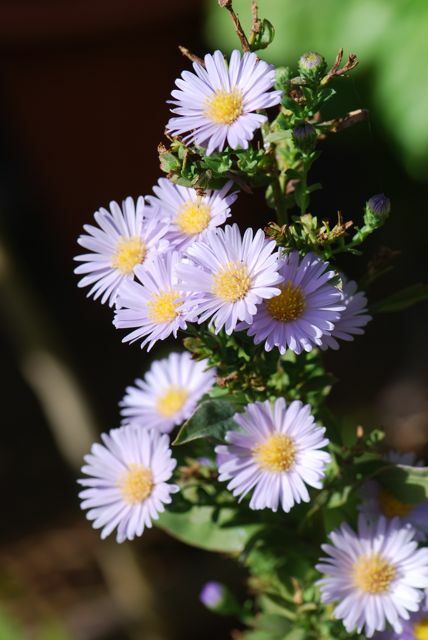 Asters are an important source of nectar for honey bees in the fall in many areas of the country. Do asters grow where you live? 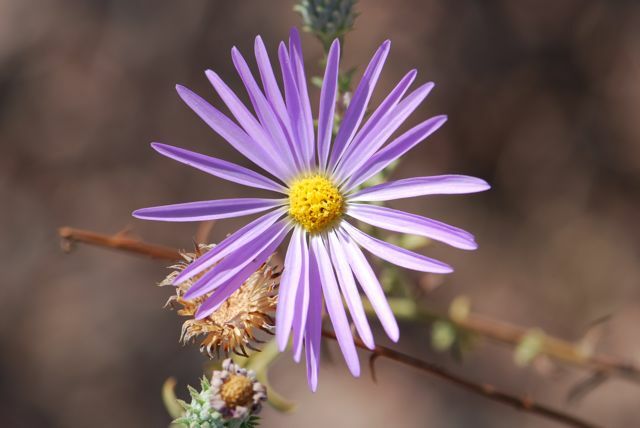 Beautiful photos - I remember my grandad teaching me to draw an aster when I was little, and to this day it's the only flower I can draw with an accuracy!